This is a simple but stunning necklace! it has smooth powder blue amazonite beads against a shimmering blue flash opalite! 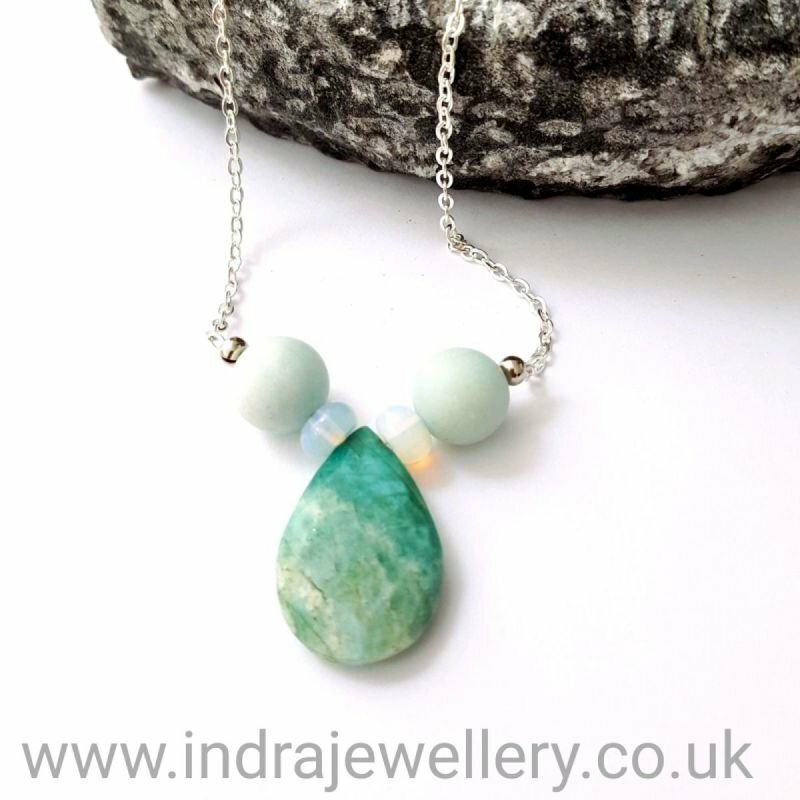 the central stone is amazonite again which gives this necklace a beautiful focal. The beads are attached to a silver plated chain with a lobster clasp and the necklace measures 18"
Amazonite is said to soothe emotional trauma, alleviate worry and fear and it's also believed to boost self confidence! Opalite is a stone for emotional balance, it is said to improve your sense of self worth and it is also useful in helping success in business.